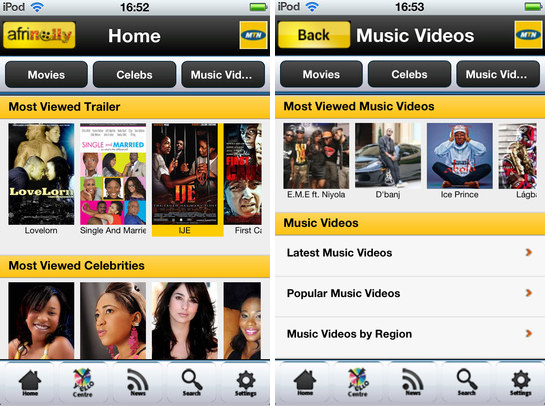 After a month in beta testing, African entertainment app MTN Afrinolly has announced the launch of its Windows App for Windows Phone and Windows 8. 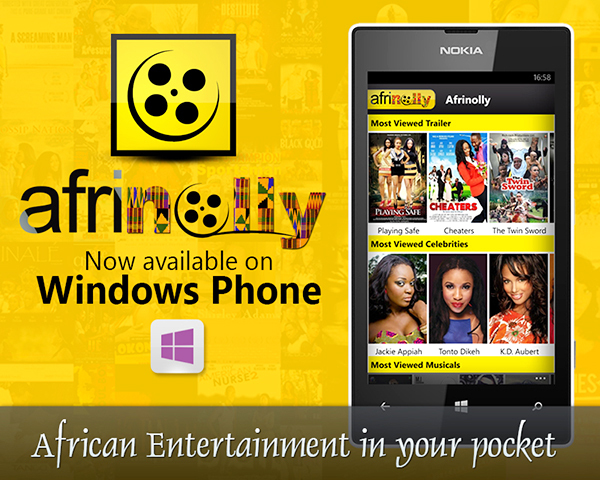 With the adding of a Windows phone app, Afrinolly is now available on all major mobile operating systems. 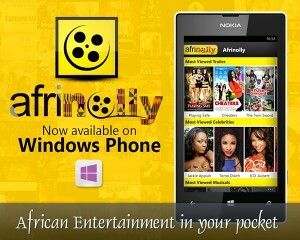 Afrinolly scores a first with its Windows 8 (PC) app as the first African entertainment app developed in Africa on Windows 8. Developed by the young folks at FansConnectOnline Limited working out of Lagos Nigeria, Afrinolly allows users to watch full length Nollywood movies, African movies, Trailers, Short films, Music videos and full length Bollywood movies on their Smart devices. On Afrinolly users get to watch the best of Nigerian movies and other African movies including Short films/Documentaries and comedy. Afrinolly also brings the latest African celebrity news plus gossip about movies, music and celebrities in Africa to users. 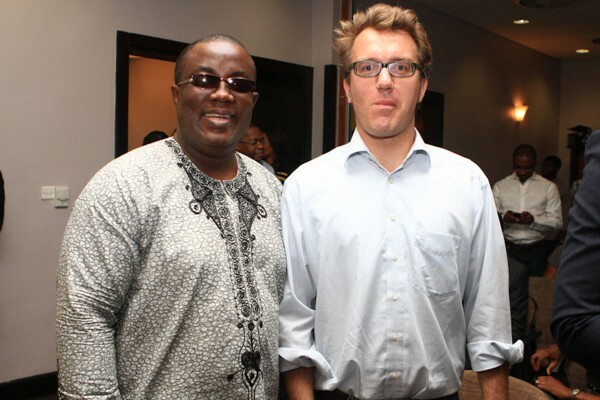 “Developing Afrinolly on Windows 8 has been an experience that was both challenging and interesting. Keeping our unified look and feel at the same time taking advantage of the key design principle of Metro; relying more on content and typography, was an interesting challenge. In the end we were able to build an app that is both clean and fast.” – Bobola Oniwura. MTN Afrinolly is available for Windows Phone 8 and for Windows 8 PC’s. Afrinolly have seen a progressive growth rate in terms of downloads across Africa and beyond, with over 2.5 million downloads across its various existing versions: Android, Blackberry, iOS, Nokia Symbian, Nokia S40 and Java. We are excited that more Africans with taste for the super smart devices will enjoy using the app on their Windows Phone and Windows 8 PC’s. 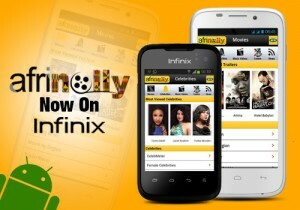 Starting this June, Infinix Smartphones will come preinstalled with MTN Afrinolly; the biggest mobile entertainment application developed in Africa. With the brand spirit of challenging the norms, Infinix smart devices are designed specifically for young people who want to stand out, reach out and in sync with the world. Pre-installing Afrinolly; Android Developers Challenge Sub-Saharan Africa 2011 winner in the Entertainment category, stresses Infinix Mobility’s commitment to the growth of locally developed applications. 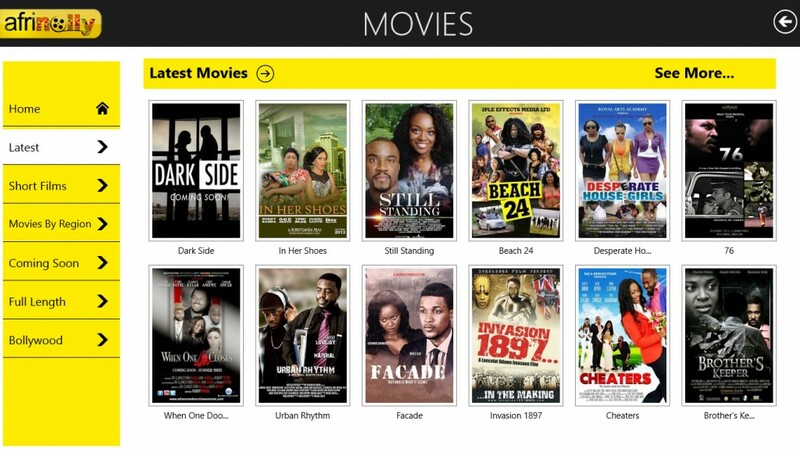 With over 2.3 million downloads across various operating systems MTN Afrinolly allows users to watch trailers of movies produced in the African movie markets (especially Nollywood) and short films plus music videos as they are released daily. Users can also follow upcoming movies, favorite Nollywood Celebrities and Entertainment events from across Africa. 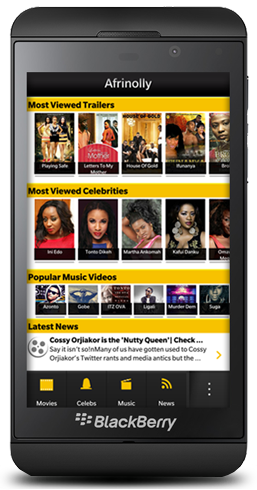 The app also provides latest entertainment news, celebrity gist and gossip as it happens. Infinix offers a wide range of Android smart devices like Surf Smart, Race, Race Lite, Buzz, Race Bolt and Joypad (Tablet). Infinix Smart phones and Tablet run on Android operating system, support both 2G and 3G networks and are powered with 1GHz above processors to allow consumers explore more with innovative applications. 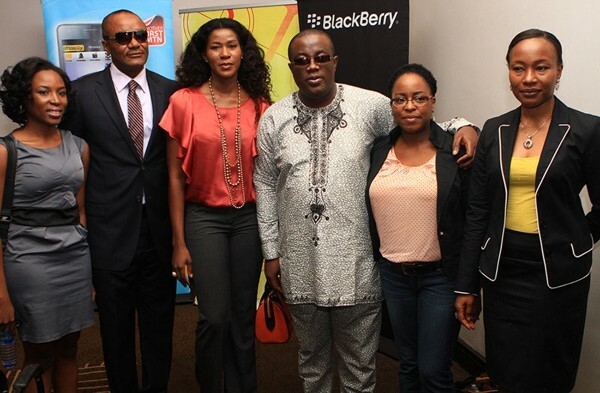 African entertainment app MTN Afrinolly announced the release of its Blackberry 10 App for Blackberry Z10 and Q10 last Thursday at the Blackberry 10 official lunch event in Lagos, Nigeria a few weeks after just announcing the Afrinolly app for iOS. 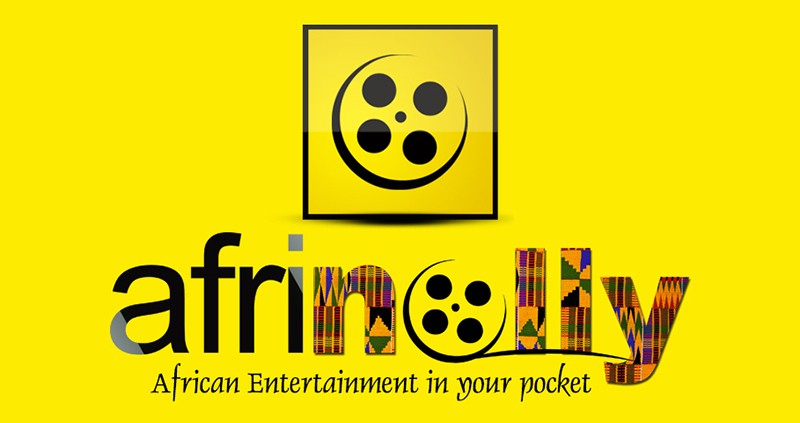 With over 2 Million Downloads across its various existing versions namely Android, Blackberry, Nokia Symbian, Nokia S40 Series, Java and Amazon Kindle, Afrinolly is the most downloaded African entertainment app built in Africa. Taking advantage of the new Blackberry Menu the user interface of the Blackberry 10 version is rich and different because the Blackberry 10 OS screen resolution allows for the apps new home screen where most viewed Trailers, Celebrity and Music Videos are celebrated plus News headlines. The app is Compatible for both Blackberry Z10 and Blackberry Q10. Afrinolly have seen a progressive growth rate in terms of downloads across Africa and we are excited that this Blackberry 10 version would allow more Africans with taste for the super smartphones to enjoy the app. The top three winners in the Afrinolly Short Film Competition have finally been selected. After the event was launched on November 1, 2012, over 500 entries were received from African filmmakers from 14 countries by the deadline of January 31, 2013. Following an initial screening that found only 214 eligible entries, an international panel of judges in the creative industries pruned it down to the best 10 films in both the Short and Documentary categories. The jury, chaired by documentary filmmaker Femi Odugbemi, comprised acclaimed filmmakers Tunde Kelani, Emem Isong, Juliet Yaa Asante and Obi Emelonye; content producer Bongiwe Selane, New York African Film Festival’s Mahen Bonetti, The Black List’s Franklin Leonard, writer Tolu Ogunlesi, Carol Kathurima and Nmachi Jidemma. The jury shortlisted 20 entries based on concept and execution i.e the story’s originality and imaginative force, clarity of purpose and its ability to captivate as well as how effectively the filmmaker reflected technical knowledge of acting, editing, sound, lighting, camera work et c.
The winners in the 4th to 10th positions in both categories will receive $500 each. The official awards presentation will take place at 6pm on Friday, March 22 at the Federal Palace Hotel, Victoria Island, Lagos. The Afrinolly Short Film Competition is an initiative of FCO Limited, developers of the MTN Afrinolly Mobile phone app. Its aim is to digitally showcase African cinema talent and provide a platform to foster the production of African content and make same available online. 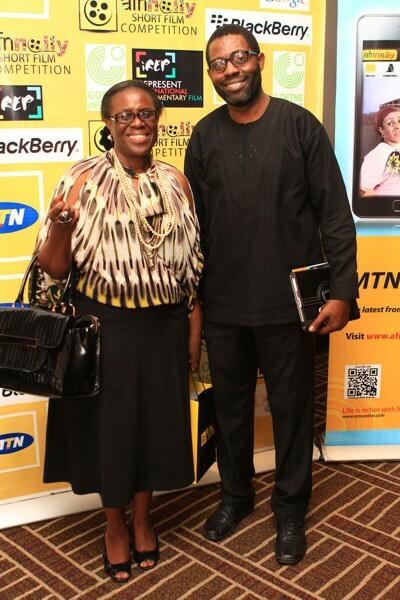 The Competition was supported by MTN, Goethe Institut, Blackberry, IREP and Google as the social media partner. Afrinolly Crosses 2 Million Plus Downloads. Thank You! In August 2012 we announced that Afrinolly has crossed the million mark of downloads across platforms namely Android, Blackberry, Nokia Symbian, Nokia S40 and Java. Today, we are excited to announce that Afrinolly has seen over two million downloads within the last 16 months thanks to you. This announcement reflects growing customer demand for discovery, entertainment and social functionality on their favorite mobile devices. With MTN Afrinolly, MTN has shown its commitment to support the local apps community and has led and continues to lead the campaign to raise awareness among mobile subscribers who are still unaware of the full range of potential services they can enjoy via their Smartphones. 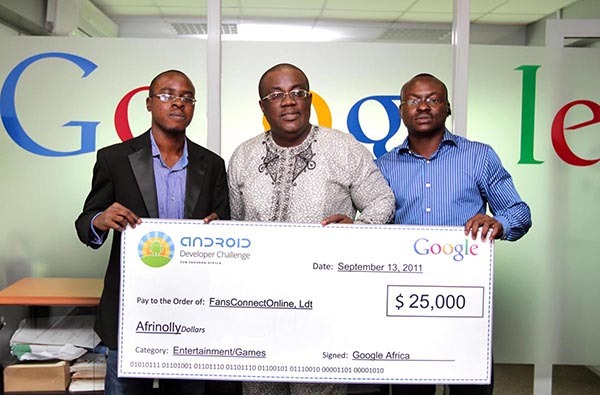 Winner of the Google Android Developers Challenge, Sub-Saharan Africa in the Entertainment categories in September 2011, Afrinolly have seen a progressive growth rate in terms of downloads across Africa. Nigeria has the largest share of download with over 70%, Ghana, South-Africa, Kenya and other African countries follow, USA, UK, Brazil, Saudi Arabia, Turkey and India make up majority of the rest. Afrinolly have also launched the MTN Afrinolly Short Film Competition; a unique, innovative and youth-focused competition, with singular concentration on the next generation of African film makers. This Competition is designed to expand the conversations on issues about the African continent by Africans, motivate and reward young and emerging filmmakers who exhibit exceptional narrative skills using short movies and documentary as a medium. Thank you to all our 2,000,000+ friends, thank you for those feedback that has helped in improving the app. Thank you to all the super Producers, Directors, Film Makers, Actors and Artists from across Africa whose works have made the African entertainment scene exciting. We are excited with this growth and we say a big THANK YOU. Next stop 3 million… Let’s Do This. 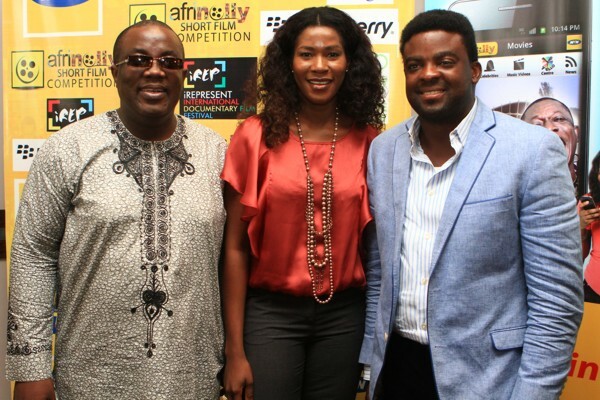 Budding and innovative film makers in the Nigerian movie industry have received a boost, as MTN Afrinolly, the premier Nigerian mobile phone app that enables users watch movie trailers, launched a short film competition on Thursday, November 1, 2012. 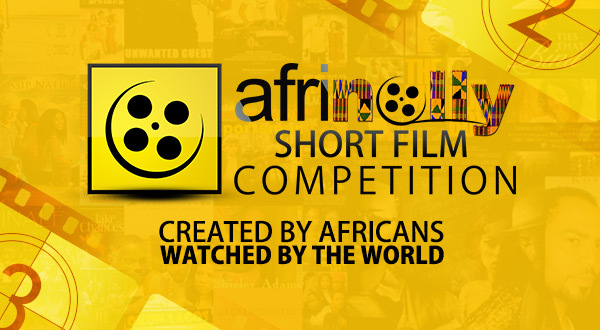 The competition is tagged – Afrinolly Shortfilm Competition. Members of the panel of judges include renowned experts in the entertainment and ICT industry globally. 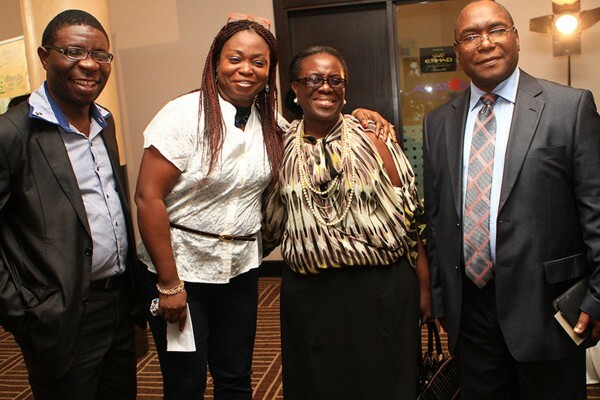 Among them are award winning Nollywood movie producers – Tunde Kelani, Emem Isong, and Femi Odugbemi. Trained at the London Film School, Tunde Kelani has been in the movie industry for over two decades. He is the founder of Mainframe Film and Television Production and remains a firm advocate of reviving the cinema in Nigeria by ensuring that all his award winning movies are created first for the cinemas before adapting to home movies. 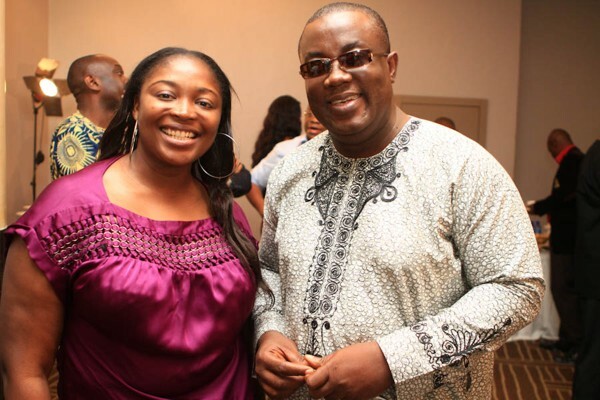 Former banker and now award winning movie producer and scriptwriter, Emem Isong, is currently regarded as one of the best in Nollywood and has contributed to the development of the industry. Femi Odugbemi is a movie producer, writer and photographer. Trained in Film and TV Production at Montana State University, USA, he is famed for his screen credits which include Nigeria’s most popular game show – Who wants to be a millionaire? His current works include another popular soap-opera, Tinsel. Other members of the panel of judges, which is made up of experts from all over Africa, include professionals who have equally excelled and contributed immensely in their careers. Coupled with the prizes attached to winners, the competition has the potential of being the biggest promotional event for budding film makers in the continent. A further breakdown of the cash prizes show that the overall winner will smile home with $25,000, the first runner up will get $10,000 and the second runner up will receive $5,000 in two categories namely Short movie and Documentary. He explained that the competition is 360- degrees online and the plan is to shortlist 30 submissions for the two categories, and each judge will watch and select the best ten per category. Thereafter, the internet public will watch the 2 sets of best ten and vote online to determine the winners per category. Afrinolly Short Film Competition is being partnered by MTN, Blackberry, iRep, Goethe Institut with Google as the Social Media Partner. Today, we are excited to announce that Afrinolly has seen over a million downloads within the last eleven months thanks to you. Precisely three weeks ago downloads of Afrinolly across all platforms namely Android, Blackberry, Nokia Symbian, Nokia S40 and Java crossed the One million mark. Since emerging as the winner of the Google Android Developers Challenge, Sub-Saharan Africa in the Entertainment category in September 2011, we have seen a progressive growth rate in terms of downloads across Africa. Nigeria has the largest share of download with over 65%, Ghana, South-Africa and other African countries follow, USA, UK, Brazil and India make up majority of the rest. Today’s announcement reflects growing customer demand for discovery, entertainment and social functionality on their favorite mobile phones. With MTN Afrinolly, MTN has shown its commitment to support the local apps community and has led the campaign to raise awareness among mobile subscribers who are still unaware of the full range of potential services they can enjoy via their mobile phones. 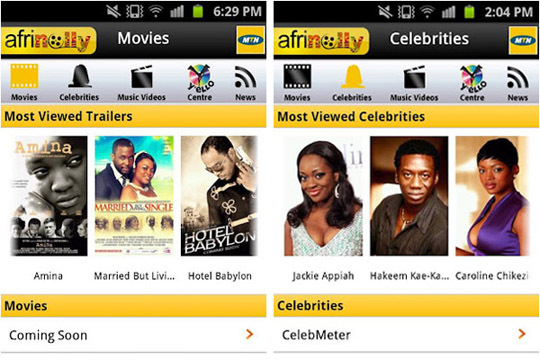 On Afrinolly, customers discover upcoming movies via their trailers helping them to plan on seeing such at the cinemas, they are able to follow their favorite African movie celebrities and read entertainment news/gossips from across Africa right on their mobile devices. Thank You, to all our 1,000,000 plus friends for your feedbacks that has helped in improving the app. Thank you to all the super Producers, Directors, Film Makers, Actors and Artists from across Africa whose works have made the African entertainment scene exciting. We are excited with this growth and we say a big THANK YOU. Next stop 5 million… Let’s Do This. “Films are a huge part of African culture, and a number of them have been shot and produced here as well. Nigeria’s film industry is one of the largest on the continent, affectionately known as Nollywood. With the Afrinolly mobile app, users will be able to watch movie trailers of these films, with a strong focus on Nollywood. It also provides users with in-depth news and interviews with some of the biggest stars, not only from the movies, but music as well. The app is well designed, loads quickly and is very easy to navigate. Users can also submit film reviews. 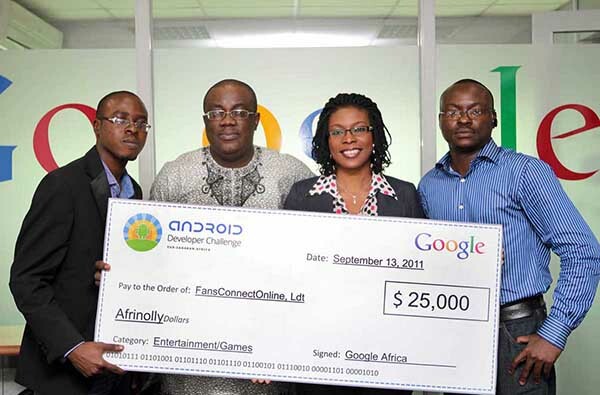 FansConnectOnline Limited winners of the Google Android Developer Challenge, Sub-Saharan Africa in the Entertainment Category with the Afrinolly App was presented with the cash prize (large dummy check) in October 2011. 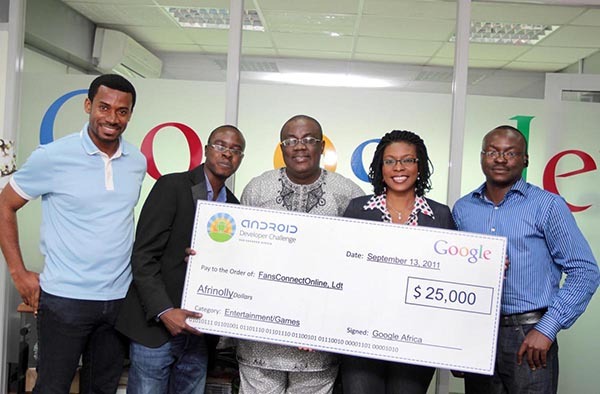 The prize was presented by Google Nigeria’s country manager Juliet Ehimuan at the Google office Lagos, to FansConnectOnline Limited represented by Chike Maduegbuna (Chief Executive Officer), Temitope Omotunde (Chief Technology Officer) and Bobola Oniwura (Creative Intelligence Analyst).